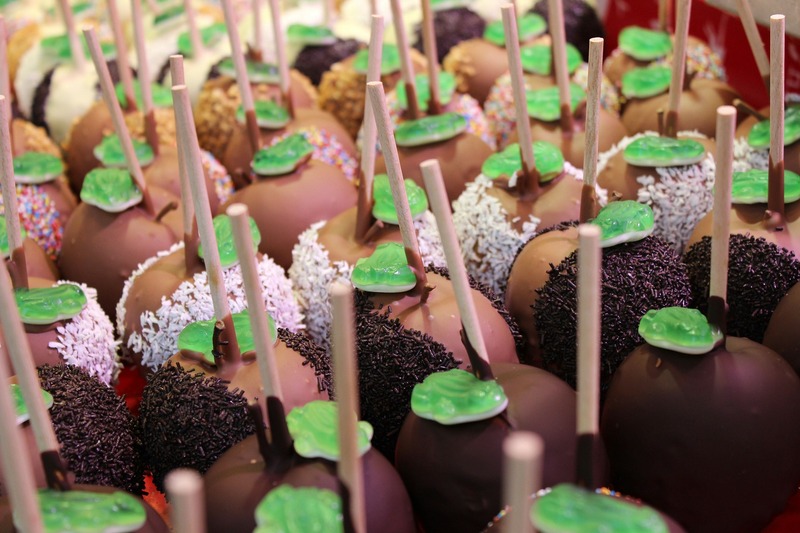 Who doesn’t love a caramel apple? Sticky, sweet, and always crunchy. This recipe from DomesticallyBlissful.com puts a super sweet spin on this all-time favorite treat. Like chocolate, chopped nuts, and endless customization for your delight! First, you want to wash and filet your apples into round medallions. Remove the seeds and insert your chosen stick into the bottom of each slice. Use a paper towel or napkin to pat them dry. Bring one inch or water to a simmer. Place your melting chocolate into a heat-safe bowl and place over the simmering water. Slowly mix your chocolate as it liquefies. Now for the fun! Coat each apple slice in melted chocolate & place on a sheet of wax paper to dry. Continue until all slices are covered in chocolate and harden. Next, drizzle your melted caramel & desired toppings (chopped nuts, sprinkles, candy) on top of your apple slices. Lastly, place in refrigerator to harden and enjoy! Were your apple slices a hit? We want to see your masterpieces! Share a photo with us on our Facebook page–or comment below and tell us your favorite flavor from Grand Kaffe.